HackMyPhD is Brandeis’ annual event to showcase the latest opportunities available to science, math, and applied arts graduate students. Students will be exposed to a variety of educational and professional opportunities for growth through funding, networking, and internship and job opportunities. At the event, students will learn how to apply for SPROUT and NSF I-Corps grants available through Brandeis Innovation. 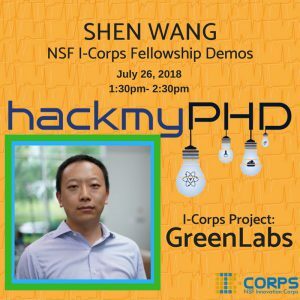 They will be shown current projects of NSF I-Corps Fellows and have the opportunity to network with potential mentors in the private industry and entrepreneurial sectors. 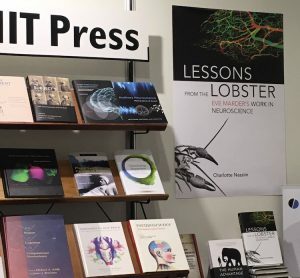 Finally, they will get a review of their CV and be able to speak directly to the Brandeis Innovation Center team about available support and resources for their research. There will be a series of panels during the day, all sharing their professional and personal experiences, giving advice and guidance. Each panelist has been in the shoes of a recent graduate, looking for their next move after their PhD or postdoc. These panelists have succeeded in crafting unique, rewarding careers for themselves and are here to share their wisdom. There is plenty of time to interact with these panelists one on one, with Q&A sessions after every presentation and intimate lunch sessions with the speakers. Many panelists have openings on their research teams, so attending HackMyPhD is a great way for recent PhD graduates to find opportunities post-graduation. Students will receive a great deal of valuable professional guidance from attending this event. They will get a professional headshot, a review of their CV, and can also discuss possible startup ideas based on their research. The keynote speech, delivered by Jonathan Thon, PhD, is guaranteed to be illuminating! His talk will revolve around dispelling common myths that surround research-based business. He asserts that working in industry/startups doesn’t mean that industry dictates research; it is actually scientist-driven, and academic integrity is preserved. 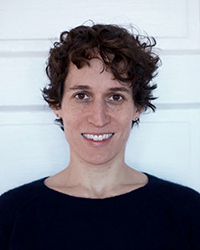 Julia Kardon has joined the Department of Biochemistry as an assistant professor. Her research addresses the molecular mechanisms that control the activity and quality of mitochondrial proteins to match the dynamic needs of eukaryotic cells. She discovered that a mitochondrial chaperone (ClpX) activates a conserved biosynthetic enzyme through partial unfolding. This discovery poses testable models for how protein unfolding can be controlled and limited and thus how protein unfoldases can direct diverse transformations of their substrates. Her lab will employ diverse biochemical and biophysical approaches to delineate molecular mechanisms of chaperone-mediated control of mitochondrial protein activity, in combination with cell biological, genetic, and proteomic tools to discover new components of mitochondrial protein regulation and quality control. Julia performed her postdoctoral research with Tania Baker at MIT. She received a Ph.D. in Cell Biology from the University of California, San Francisco with Ron Vale and a B.S. in Molecular Biophysics and Biochemistry from Yale University. 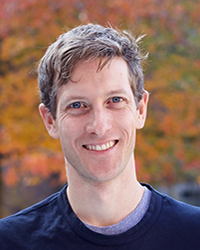 Niels Bradshaw has joined the Biochemistry Department as an assistant professor. Protein phosphorylation is a conserved mechanism that controls cell physiology. Niels has uncovered mechanisms that control a widespread family of protein phosphatases and direct them to their targets. Using mechanistic enzymology, structural biology, genetics, and cell biology, his research group will address how phosphatases and other signaling proteins have evolved and diversified to control important processes in all kingdoms of life. Niels conducted postdoctoral research with Richard Losick at Harvard University. He received his PhD in Biochemistry at the University of California, San Francisco with Peter Walter, and a B.A. in Biology from the University of Chicago. Dr. Hongfu Liu has joined the Michtom School of Computer Science at Brandeis University as a tenure-track assistant professor. He received his Ph.D. in the Department of Electrical & Computer Engineering, Northeastern University (NEU), supervised by Prof. Yun (Raymond) Fu within 3.5 years. Before joining NEU, he earned his master and bachelor degrees in management from the Beihang University with Prof. Junjie Wu. He also received two minor bachelor degrees in applied mathematics and laws. 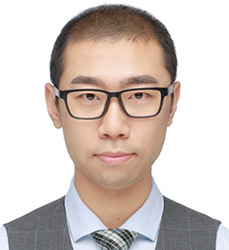 His current research interests lie in data mining, machine learning and related applications on business intelligence, computer vision and bioinformatics. He has published several papers in top conferences and journals, such as KDD, ICDM, SDM, AAAI, IJCAI, T-PAMI, T-KDE, T-IP, DMKD, BMC and so on. He is also the reviewer for several top conferences and journals. He has been nominated as KDD Top 20 rising star all over the world in 2016. Figure 3. 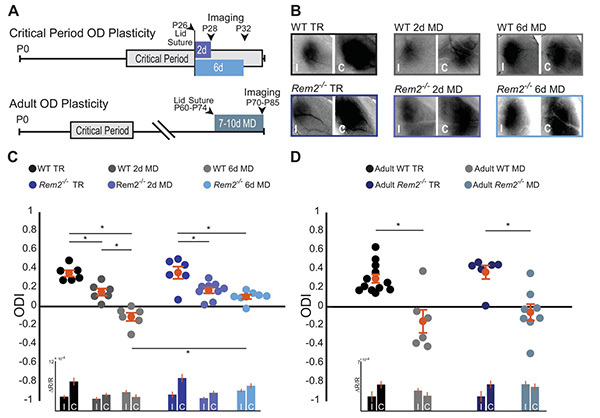 Rem2 is required for late-phase critical period ocular dominance plasticity. “Rem2 stabilizes intrinsic excitability and spontaneous firing in visual circuits.” Anna R Moore, Sarah E Richards, Katelyn Kenny, Leandro Royer, Urann Chan, Kelly Flavahan, Stephen D Van Hooser, Suzanne Paradis. eLife 2018;7:e33092. Throughout our waking hours, we experience an ever-changing stream of input from our senses. The brain responds to this varying input by adjusting its own activity levels and even its own structure. It does this by changing the strength of the connections between neurons, or the properties of the neurons themselves. Known as plasticity, this process of continuous change enables the brain to develop, learn and to recover from injury. The visual systems of mammals are particularly well suited to studying how sensory experience alters the brain. Studies in animals show that lack of sensory input to one or both eyes during a critical period in development causes long-lasting changes in the brain’s visual circuits. Similarly, children with the condition amblyopia or ‘lazy eye’ – in which one eye has impaired vision and the brain ignores input from that eye – can end up with permanent deficits in their vision if the condition is not treated during childhood. Changes in sensory input are thought to trigger plasticity in the brain by altering the activity of specific genes. But exactly how this process works is unclear. Anna Moore, Sarah Richards et al. now show that a gene called Rem2 has an important role in regulating visual plasticity. In the key experiments, young mice had their vision in one eye blocked for a few days. Analysis of their brains showed that mice that had been genetically modified to lack the Rem2 gene responded differently to this change in their environment (i.e. the loss of input to one eye) than their normal counterparts. Further experiments suggest that Rem2 regulates the excitability of individual neurons: that is, how much the neurons respond to any given input. In the absence of Rem2, neurons in visual areas of the brain become hyperactive. This prevents them from adjusting their activity levels in response to changes in sensory input, which in turn leads to impaired plasticity. Being able to harness the brain’s visual plasticity mechanisms on demand, for example by regulating Rem2 activity, could benefit individuals with disorders such as amblyopia. Rem2 is also active in many other parts of the brain besides those that support vision. This suggests that manipulating this gene could affect numerous forms of plasticity. However, various barriers must be overcome before we could use this approach to treat brain disorders. These include obtaining a more in depth understanding of the role of the Rem2 gene in the human brain.